A most desirable but seldom seen Maple model now available for your family home. 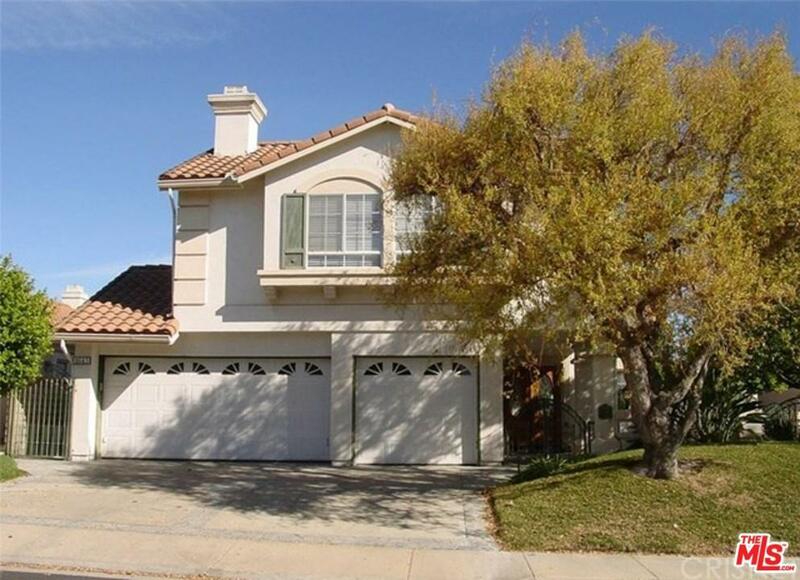 Located in the guard-gated Rancho Conejo. A double door entry welcomes you to a formal entry that leads to the spacious 2 story ceiling formal living and dining room. Note the drama of the spiral staircase with wood rail. Kitchen features a generous use of granite, custom granite enclosed stove top, Built-in fridge, island w/ sink, walk-in pantry and a breakfast area. Bedroom/office/den is downstairs + a bath with a shower stall. Laundry is a separate room with cabinets and sink. Upstairs you'll find a master suite w/cathedral ceiling, plantation shutters and his & hers custom walk-in closets, a huge mirrored bath w/dual sinks, make-up area, spa tub and stall shower. Large bonus room with fireplace! Outside is a sparkling pool with water fall and a spa. Built-in barbecue and covered area for entertaining. Community pool is also close by. Please See Private Remarks For Showing Instructions! Sold by Janet Morton BRE#01721353 of Pinnacle Estate Properties. Listing provided courtesy of Oliver Moussazadeh DRE#01721353 of Revilo Realty, Inc..